I am not sure if I am the typical artist but I like working with several mediums, I get bored and have a need to go different directions with my art and sometimes, I just need a break from doing any art at all. 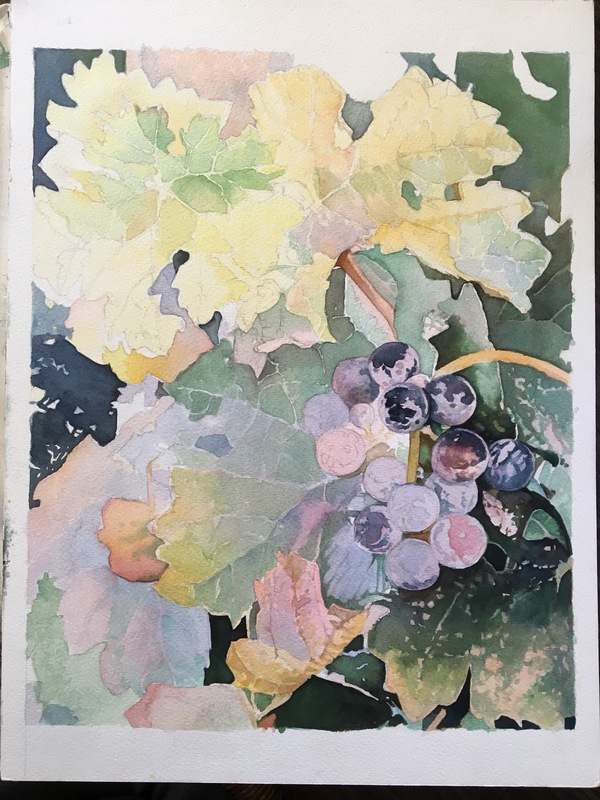 During the summer, I was working “en plein air” as well as in my studio painting summer seascapes with oils and currently have a couple of paintings to finish for friends but the “bug” hit me and I had to get back to my first love, watercolor. I needed to create another painting even bough I have a couple unfinished paintings. Living in Southern California you would think I would be at the beach all the time to paint but vineyards, harvest in general, mountains and even the harbor are so much more interesting to me. I wish I didn’t need any rest at all and had all the time in the world because I would love to produce so many more paintings then I already do, but I plod along like a turtle. Below are some “in progress” photos of my little detour from oil painting. Yes, that is exactly how I feel and yes again to certain mediums for certain subjects. Thank you for your comments! I think it is beneficial to do this and your lovely watercolours bear this out. 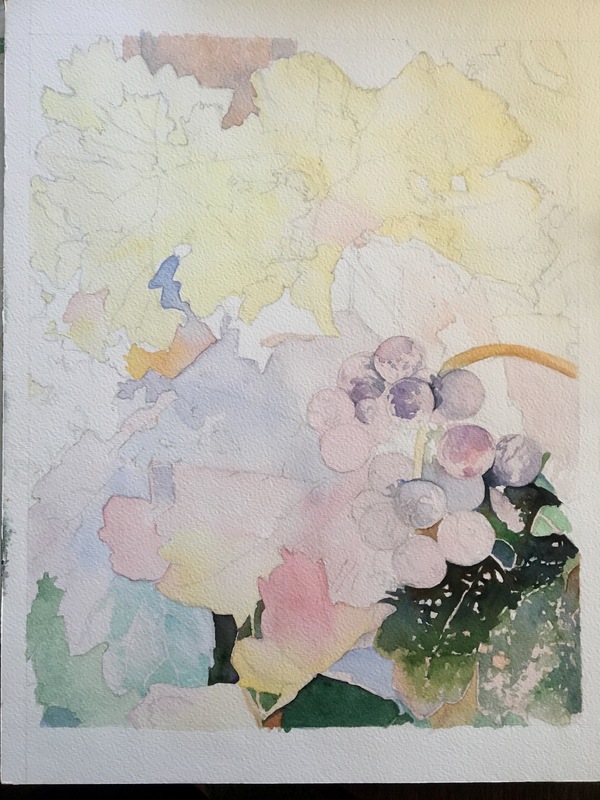 I am being encouraged to paint more in watercolour again, though I would rather focus on acrylic and even try oils, despite the impractical nature of the latter for me. 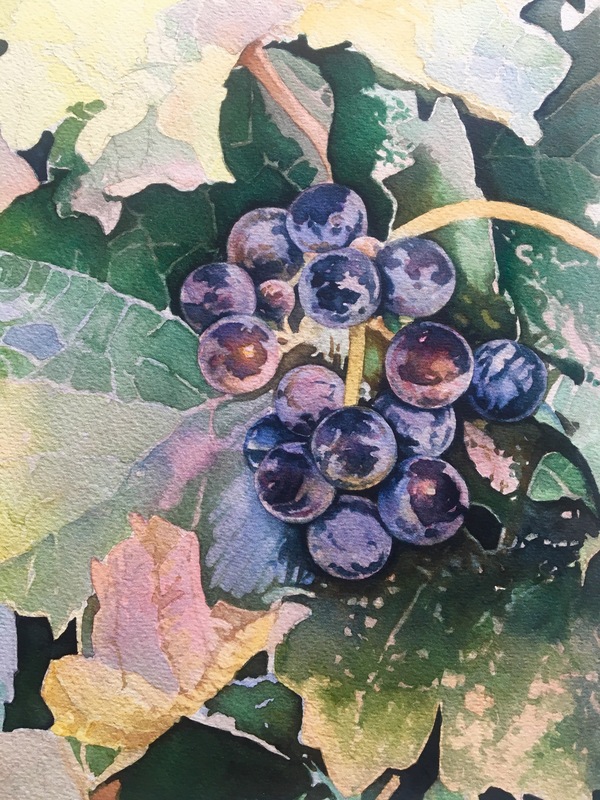 I’m in a process of making a fresh start in several ways here in Scotland, wanting to do so also with my painting, including doing more plein air paint studies in the mountains but this has to fit in with demanding practicalities and challenges how I paint. Well.done, nice work, I look forward to seeing the continuing results. Now I have an early start for the hills with a friend, so a quick pen sketch may be all I manage today; we’ll see. Happy Sunday, whether the clocks change for you or not. Beautiful! It’s really interesting to see how the painting progresses.